I have loved all of Kristen's posts and getting to see all the fun stuff they are up to in Tyler. I mean, I almost cried a little when I saw Ben's new haircut! How cute is he! We miss them like crazy! 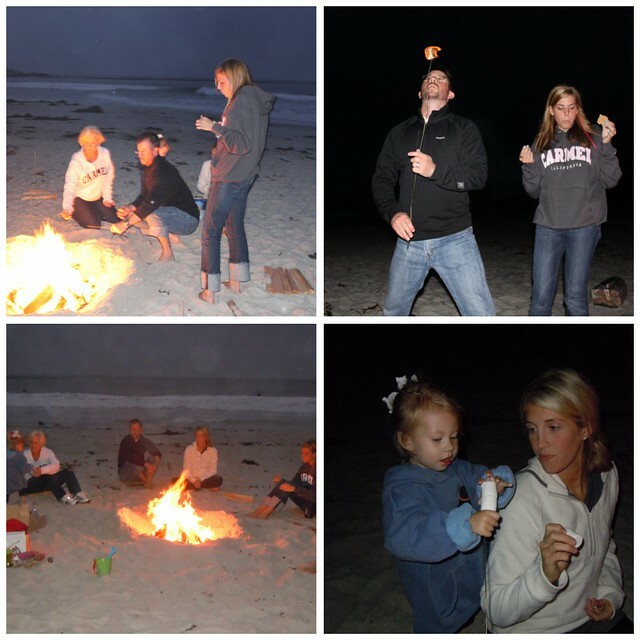 So we just go back from a family vaca with my fam and it was so fun. We went to northern california for about a week and it was so relaxing. It was more of a golf centered trip so Bob and my dad were in heaven. 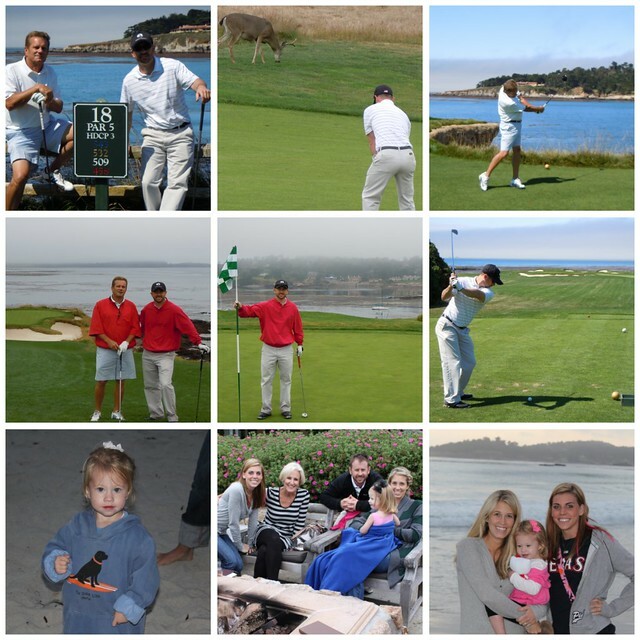 We spent a few nights in Pebble Beach and a few in Carmel. The weather was a little on the chilly side but such a nice change from the texas heat. Ella did so great and LOVED the beach! Of course I made matching family vacation shirts. I used navy blue Rit Dye and dyed white shirts and then used photo emulsion to screen print them. They turned out pretty cute and everyone loved them. So stinking cute! We miss you guys so much! All of those pics look fantastic and the shirts are perfect! Love it! What a fun vacation!! Ella's face on the beach is priceless! !